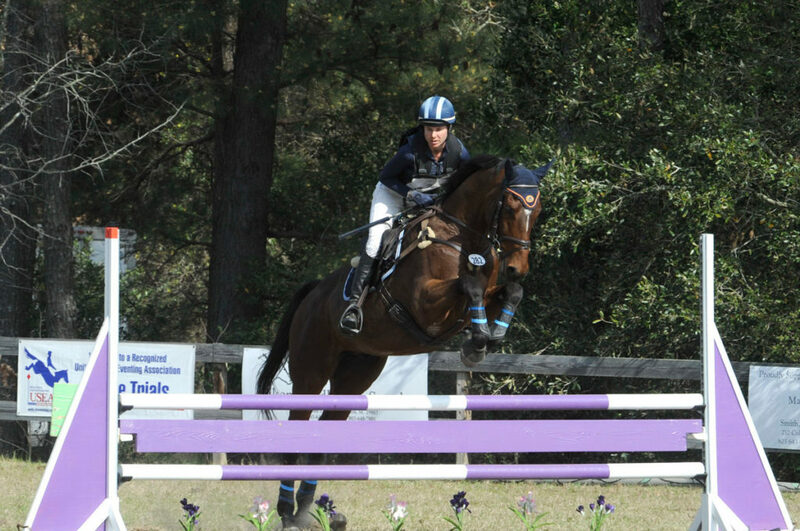 Dewey Square is an exciting prospect for Valerie and Blue Clover Eventing. Owned by Nicholas D’Amore, he was bred by the very successful Siena Farm to be a Kentucky Derby contender. A 2010 model by Bernadini, Dewey is a very handsome, powerful horse standing 16.2. After an extremely successful racing career, he went on to be the Retired Race Horse Champion Jumper in 2015. He has been a champion all of his life and Valerie hopes that trend continues with his eventing career! He has taken to the game very quickly, with a huge stride and a love for galloping across country. He competed successfully at the BN and N levels in 2016 as he got his eventing exposure, and Valerie is really looking forward to what he does as he moves up the levels in 2017! !